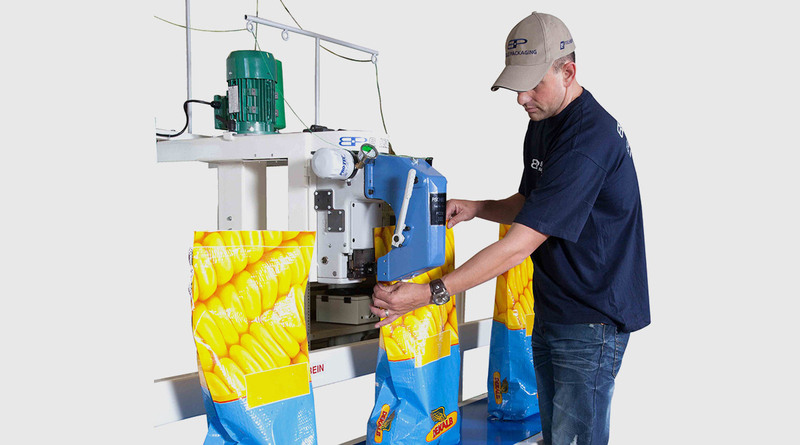 By far the most popular combination for high speed, heavy duty bag stitching is the new generation Fischbein MP 100 consisting of the proven Fischbein heavy duty stitching head fitted to an adjustable pedestal over a 3.3 metre long flat bed conveyor with 400mm wide belt and bag guide. 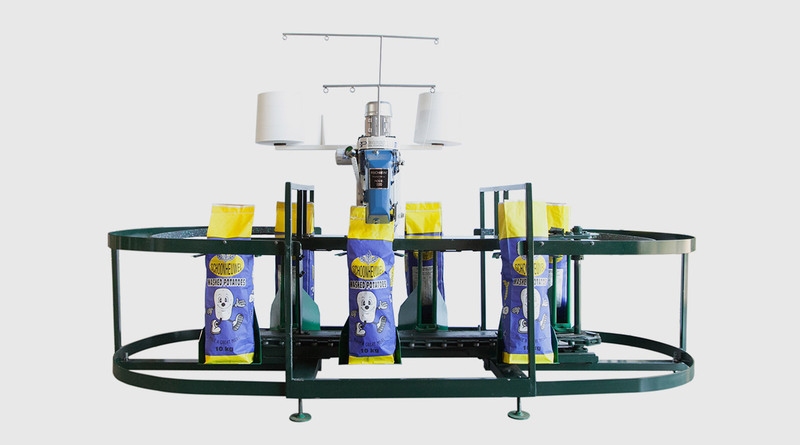 The unit is supplied complete with 380 volt 3-phase motor, contactors, two stage foot control and is ready to use on delivery. Finish of the pedestal and conveyor is high quality powder coating, white in colour. 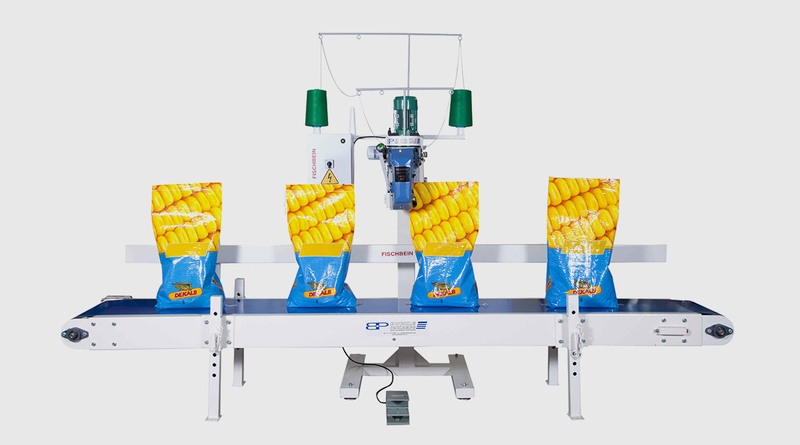 The sewing head is synchronised to suit the speed of the conveyor to give even or “straight” stitching resulting in good product appearance. 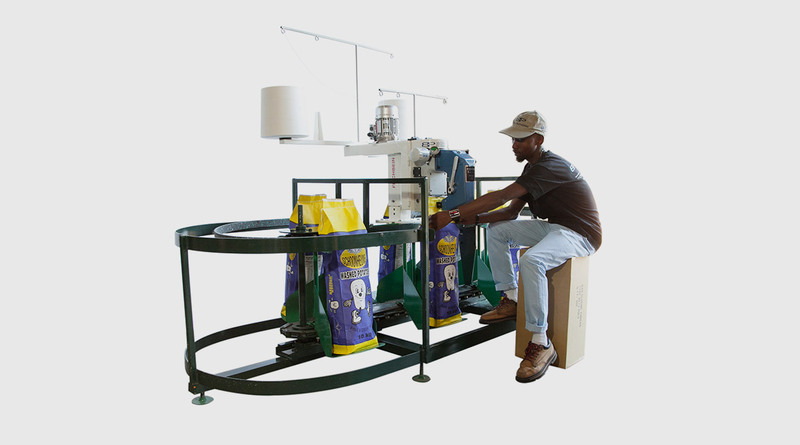 Ideal for packaging maize meal, animal feed, sugar , potatoes, salt, fertilizer and pet foods. Adjustable MP pedestal as well as conveyor available in stainless steel for corrosive environments.